We live in a world of excessive polarity. A raging deficit parallels an omnipotent upper class. Prodigious mountain ranges of garbage and toxic waste remotely supervise vanquished forests. Cavalcades of tourists flock to my hometown during the summer and drive 12 miles an hour while snaking repeatedly across the double-yellow in an attempt to spot a moose, yet the place rivals The Shining during the most uninvitingly frigid months of the year. And due to the surge of touchscreen popularity within the technology neighborhood, tangible buttons and physical controls are nearly extinct from the smartphone suburbs. Meanwhile, the bourgeoning complexity of modern console games is necessitating the need to plaster the facades of contemporary video game controllers with a profusion of analog sticks, triggers, soft keys and shoulder keys. Remember little Zuzu when she decreed, “Every time a bell rings, an angel gets his wings?” According to today’s archetypal trends, every time a new console is announced, an Xbox controller gains 39 extra dials. There are just too many damn buttons, folks. But before I fasten the buckles on my flamethrower, I’d like to divulge a smattering of history for perspective’s sake. I was raised in the 80’s. I represented the era profusely via Michael Jackson high-tops, couldn’t go a day without my Pee-Wee Herman underwear and never missed an episode of Transformers. However, I was fortunate enough to experience the cultivation of the greatest home videogame system ever to be released in the history of videogame systems: The Nintendo Entertainment System. This boxy, unadorned grey-and-black mothership was equipped with a rectangular hatch for game cartridges and two buttons for resetting the game and powering the system on and off. The NES controllers seemed to have been modeled after a box of Good & Plenty and offered a 4-way directional pad, Start, Select, A and B buttons. Despite the innate simplicity of this gaming configuration, Nintendo proved year after year that two action buttons and a teeming library of quality games were all that was needed in order to win the hearts of the gaming populace worldwide. Super Mario Bros., Mega Man, Castlevania, Zelda, Kirby’s Adventure, Blades of Steel, Mike Tyson’s Punch-Out, Double Dragon, Contra, Tetris, Paperboy, Rescue Rangers, Maniac Mansion and Bugs Bunny’s Crazy Castle are just a few NES titles and legacies I can blast out of my memory cannon at the drop of a hat, even at my prehistoric age of 28. 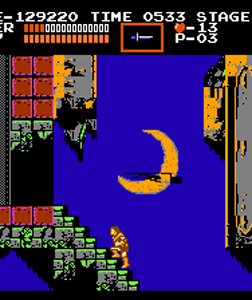 I still play these games to this day, courtesy of an FC Twin NES/SNES hybrid console. It’s also worth mentioning that I own a Sega Genesis and have succeeded in administering a repeated walloping on Dr. Robotnik for many years. So why, after the transpiration of two decades, do I continue to visit my dear old 8 and 16-bit friends? As a diehard retro gaming enthusiast, I can attribute my infatuation with the older consoles to their entrancing storylines and legendary soundtracks—a visual and aural sandwich of the highest caliber. Although the game controllers and graphics resided within the realm of the invention of the wheel when compared to the futuristic consoles of today, Nintendo, Konami, Campcom and others were successful in etching an unwaveringly timeless quality into an ocean of grey cartridges. Link’s phantasmagorical quest throughout Hyrule, Mario’s whimsical journey within Mushroom Land and Simon Belmont’s foreboding forage into the pernicious bowels of Dracula’s Castle were so captivating that their lineage still retains monumental success on modern consoles to this day. But the magic and splendor of 8 and 16-bit consoles were inevitably ousted by systems with boosted graphics firepower and more buttons on the controllers. Nintendo 64 sauntered into the saloon and slammed a multi-angle joystick and a trigger onto the bar and demanded it all on the rocks. It required some acclimatization, but eventually we were able to adapt to this unconventional command center. Besides, Nintendo bejeweled the N64 console with gems like GoldenEye 007, Mario Kart 64 and The Legend of Zelda: Ocarina of Time. Even PlayStation’s controller configuration was easily adaptable, though its game selection was lacking in comparison to Nintendo’s, save titles like Tomb Raider, Final Fantasy and Castlevania. But there you have it—the reemergence of classic franchises made their way to the top, despite the throngs of new releases. Although I never owned anything beyond a Sega Genesis, I could still visit a friend who did and learn the controls for nearly any game within the span of five minutes. And then at some point, I lost faith in the modern video game industry. In fact, it was quite recently. My friend phoned me and asked if I’d like to play NHL ’11 on Xbox with him. Shazam! I love NHL! There’s a stack of EA titles next to my Sega Genesis! Though my elation dwindled very hastily as I began playing the game. Me: Wait, what shoots the puck? Friend: You have to use the secondary analog control and flick it up in the direction you want it to go. Me: Do I have to press anything else, or just flick it up? Friend: Aim with the first analog controller and flick with the second one in the direction you want to shoot it. 20 minutes skates by and I’m still blasting slap shots into the crowd. Me: How do I check? Friend: Second analog button, press it down and flick it to the direction you want to check. Me: Wait, the analog control is a button too!? Friend: Yeah, press down, aim, and flick it at a player. Me: This blows! Why isn’t there just a button designated for checking, one for shooting and one for passing? Friend: Dude, this is not NHL 95 on Sega. To pass, use the left shoulder key. Me: What the *%$& is a shoulder key!? Friend: Let’s go play roller hockey outside. After 38 minutes of strife and consternation, I gave up and sought physical activity. Game controls today are not easily adaptable. They require elongated tutorials and the use of an extensive memory in order to master them. And what the heck has Nintendo done with the Wii? 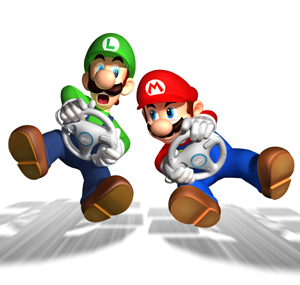 I understand gesture-based gaming is gaining steam, but have you ever compared the Wii remote to a classic controller when it comes to playing Mario Kart Wii? It’s as if Yoshi and his 4-stroke motocrosser are homing missiles aimed at various bushes, trees, posts and other rigid fixtures along the sides of the intended path while you attempt to man the Wii steering wheel. I don’t want to wave my arm about like a wizard of lameness in order to send Yoshi over a tabletop jump, nor do I wish to tumble off the side of the couch in an effort to corral him back onto the track from a ditch of doom. I understand games like Wii Sports are reliant on this sensor-based technology, but without decent storylines they still lack the magic brought on by the earliest 8-bit warriors like Nintendo’s original Track and Field. 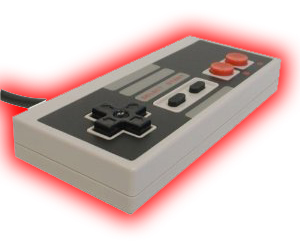 Look at the NES Zapper. It plugged into the console and blasted pixels into oblivion. Acclimatization time was below the 5-second mark, and Duck Hunt marathons were legendary. Damn that confounded dog! Today, video games require prolonged online guides, which translate into additional hours tacked onto the art of staring at a screen indoors, devoid of natural light. Also, I’m going to write something highly controversial: Grand Theft Auto is a prime contributor to the permanent tarnishing of the gaming industry. Running around cities pillaging, killing and degrading other humans is not my idea of a productive evening, though the unprecedented popularity of GTA is testament that there are far more vapid sacks of protoplasm in the world than I had initially surmised. Lackluster and brain-congealing titles such as Halo and Call of Duty promote war at dangerously realistic levels and are devoid of engaging stories as well. Blow up and kill. Stupid is as stupid does. Let me counter that by telling you I adore first-person shooters with innovative storylines. 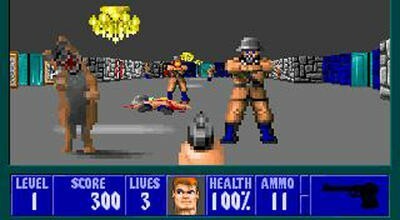 I was there for the emergence of Wolfenstein and Duke Nukem. Slaughtering the sadistic Nazi regime and piloting a boisterous yet lovably pretentious alien assassin were highly appealing tasks because of games’ matchless characters and enticing tales. These days, it seems as though there are too many buttons and far less original ideas—a deadly polarity that abandons the very essence of a quality gaming ecosystem. And if you look at the success of the classics like Mario, Zelda and Castlevania, you will find them at the top of the gaming hierarchy, even today. Why? Unmatched storylines and characters that shall remain honorable fixtures of any gamer’s library until the end of time. Aside from game controllers that require a PhD to operate and soporifically bland storylines, most modern video games are plagued by the rise of three noxious characteristics: Gaming Networks, Achievements, and purchasable upgrades. Gaming networks, much like a majority of the Internet, function via a digital hand that protrudes from the gamer’s television screen and envelops them into a digital fantasyland for hours on end. I love fantasylands, but not those that immobilize the individual and render them socially inept. Hours morph into days, which ooze into weeks, and inevitably the World of Warcraft Virus has plundered the gamer’s very soul. Gaming networks can be exceedingly lethal—particularly for the weak-willed. The ability to play other gamers from around the world is delightful, but, like any addiction, can damage a person if not regulated in moderation. And as if I didn’t spend enough time scoring three stars and a Mighty Eagle feather on every single level of Angry Birds—now I have to go back and fulfill all of my Achievements! Achievements!? 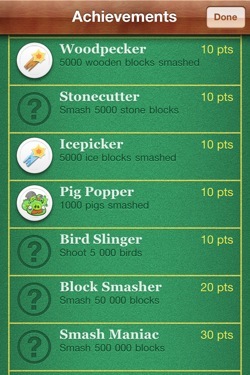 I just invested a Saturn-sized dollop of time in order to ace the game with flying colors and now you’re telling me I have to go back and smash 372,634 more blocks to fulfill my “Smash Maniac” status, which nets a piddly 30 points in the Achievements section of the game!? Inconceivable! Who gives a flying French Cruller about the Achievements!? When I finish a game, that’s all she wrote—case is closed. Fin. I refuse to lunge for the carrot and regress into the “Ham ‘em High” level in order to boost my score so I can attempt the “Score Addict” achievement while viewing Angry Birds ads every time I pause the game, subliminally inciting me to buy a plush kookaburra to squeeze lovingly at night. And finally, let’s discuss purchasable upgrades. Take a top notch mobile game like “Army of Darkness,” which is free on the Android Market or App Store. However, the sly developers designed this game with the sole intention of raking in the dough via other means. At some point in the game, you’ll realize that Ash is not equipped with sufficient armor, weapons or defenses. Low and behold, the only way to upgrade his army is to purchase items with gold coins collected throughout the game. We soon realize that the most expensive items are impertinent to finishing the game. And to collect enough gold coins to afford the creme de la creme of defenses within the game would mean playing the same levels over and over for hours on end…unless…you give in and use your own hard earned moolah to buy fake coins to spend on virtual defenses for the ultimate prize of…defeating a game on a smartphone! 500,000 coins cost $25.00, and it can all be spent on virtual defenses within the span of 30 seconds. One can imagine the potential credit card bills racked up by enthusiastic gamers, much to the chagrin of their unsuspecting parents. At this point, I feel the need to return to the matter at hand, and that’s the fact that video games are not what they used to be. That’s quite fine—we are destined to evolve in every facet of technology. But the fact that I need an hour-long controller tutorial for a game of hockey is preposterous. The fact that baseless first-person shooters are so popular is devastating. And the fact that there are more temptations within the gaming world than ever before, such as networks, achievements and purchasable upgrades is a frightening concept. Many of today’s games are devoid of the magic and splendor that flourished within the enchanting world of NES cartridges, and I feel as though the gaming industry will never see that again. The original Super Mario Bros. remains one of the most inspiring and legendary games in history, and that was achieved with two minute red buttons and a 4-way directional pad. For at the moment, game developers are adding too many colors to a palette without giving much thought to the meaning behind the painting. Game developers should heed the words of Mr. Wonka himself and visit their own worlds of Pure Imagination if they want to win the hearts of NES mummies like me. Be sure to check out Joey Davidson’s rebuttal.